A window is not simply a window. In the meantime there is a growing number of factors which are relevant when calculating the price of a window. 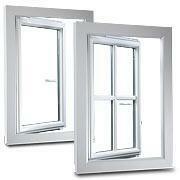 Therefore the price differences of windows can vary and must be calculated individually for each customer. Using our window price calculator you have the possibility to enter all relevant factors and conditions in order to produce the resulting price immediately. The window price calculator displays each price of your own individual window. Using the window price calculator you can configure, calculate and order your windows from the comfort of your own home. In the first step the essential basic information is entered. This applies to the type of material, choice of colour, type and size of the window. By entering the type of material the customer is determining the frame. 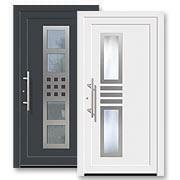 You have the choice between PVC, wood or wood-aluminium. Click the selection of your choice to enter the appropriate profile form or the type of wood. If wood, however, is chosen then all available wood profiles (Classic with standard edge or Roundline with rounded edges) and the various wood types are displayed. As well as offering the most popular and frequently selected standard colour "white“ we can supply a vast range of other colours. Here it is aso possible that the window has a different colour inside and out or that each side has a different decor finish. Any possibe price surcharge is immediately shown in our window price calculator in real time. Finally you choose the desired window typ, i.e. whether it should be a single window, double window or even a window in three panels in the classic style, that is in rectangular form. Furthermore, it is possible to have up to three upper or lower fanlights for each type of window selected. For each window type the method of opening for each individual sash can be defined. If required the sash can be turned and/or tilted. The last piece of basic information required is the size. Here the height and width are entered in millimeters. The most prominent feature of our window price calculator is that the appropriate permissible range is already shown directly below the enter field and that it is not possible to enter a measurement below or above these values. 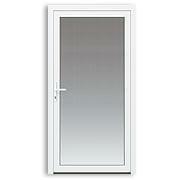 In this way we can be sure that we can carry out your requirements and make the relevant window. For you, on the other hand, this is a reliable control function indicating whether such a window can be produced.